More than 5 million 3DS games sold for the year so far, PS4 will be above 4 million within 2 weeks. 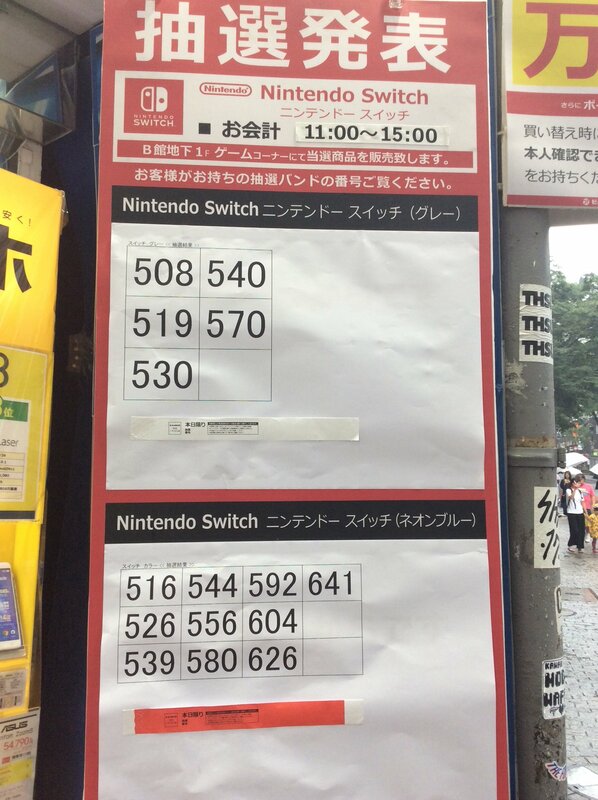 New Switch shipments for tomorrow (Saturday) morning at Bic Camera stores. 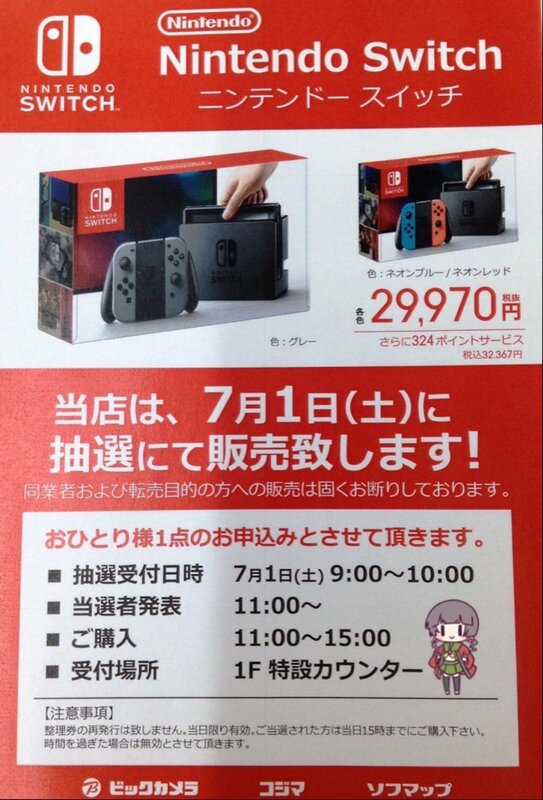 It seems they are (as always) very limited. 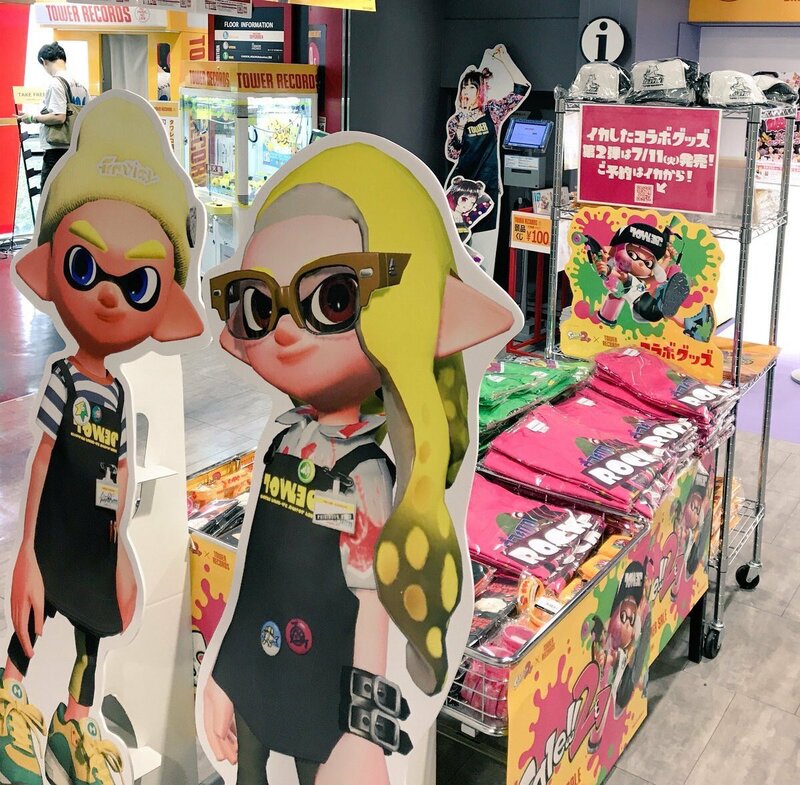 I can see this being the case until the launch of Splatoon 2 but then given pent up demand it also probably won't be enough what they'll manage to ship that week. 01. The Battle Cats POP! What do you mean? Caligula sold more and has higher sell-through than The Alliance Alive. As I promised, some insights about Switch and other related stuff. 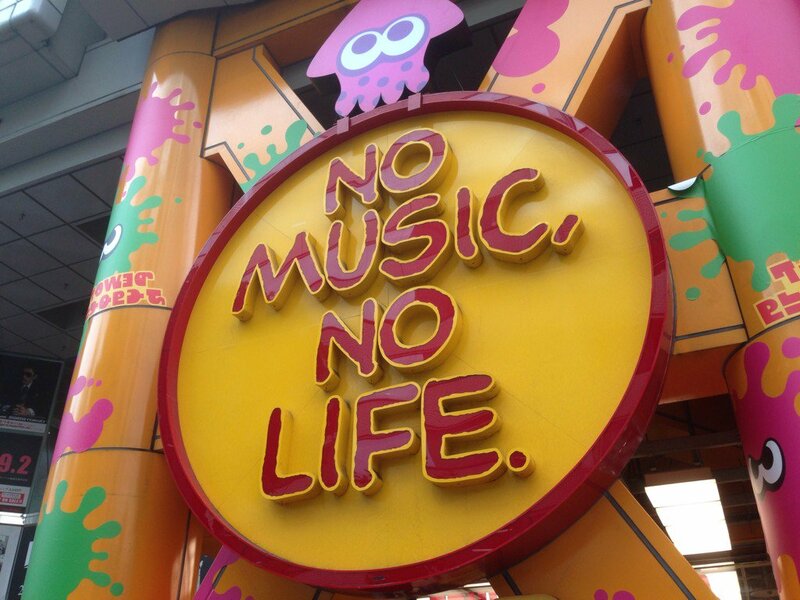 Let's begin with Splatoon 2, and its collab with Tower Records. 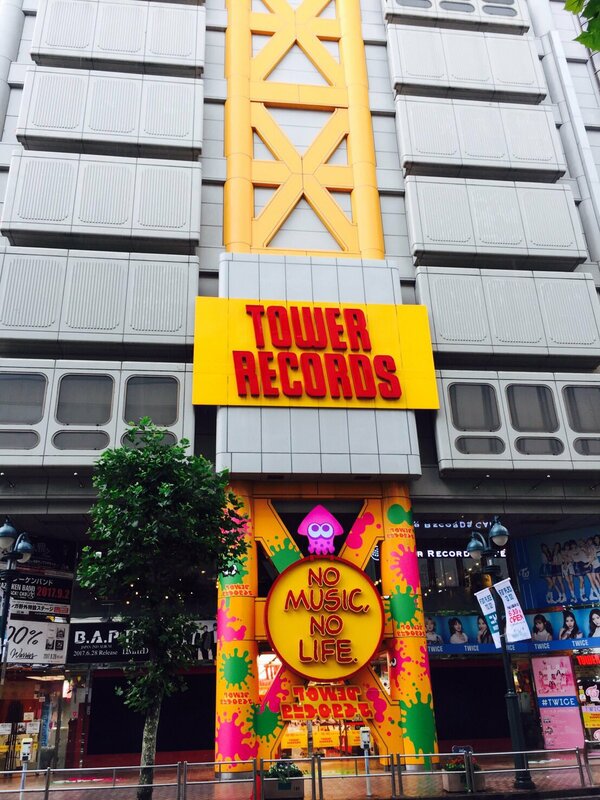 The TR Shibuya building is totally splatoonized. 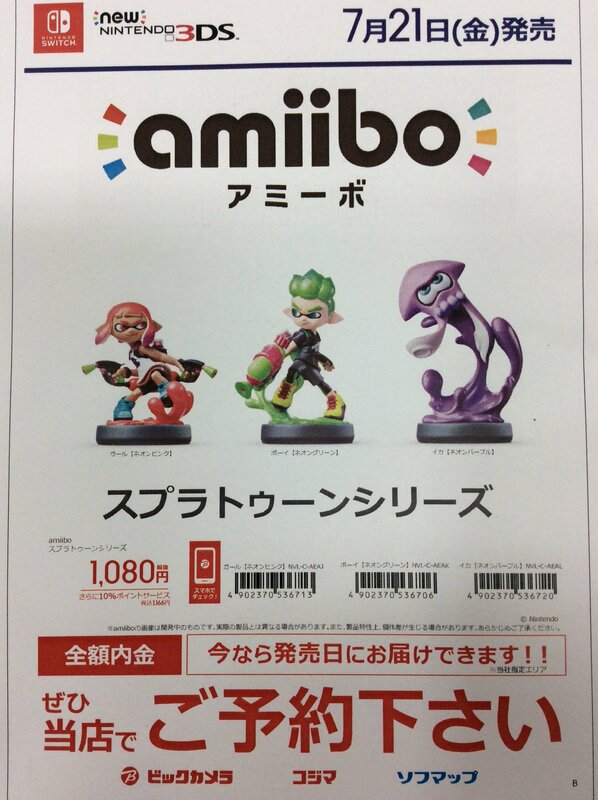 Splatoon amiibo are quite popular as well at Bic Camera Shibuya. 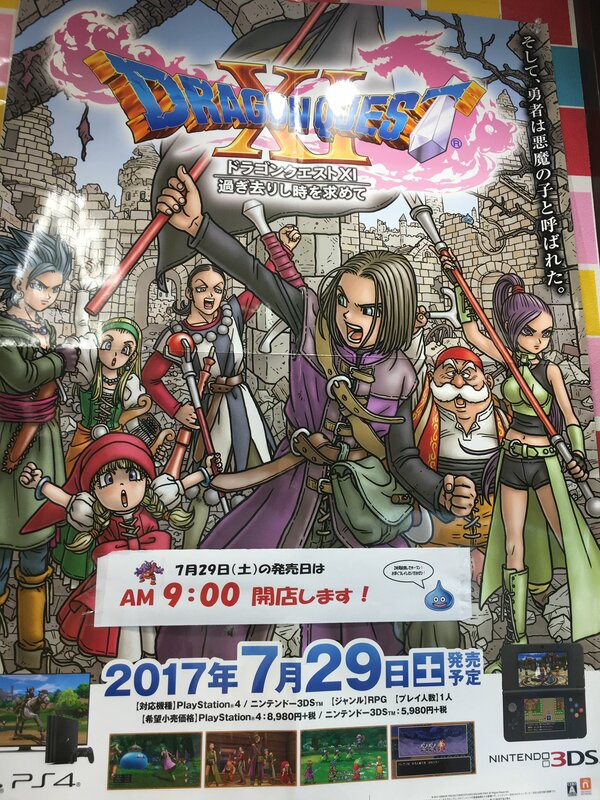 Now, Dragon Quest XI that had some ads inside Yamanote in collab with HMV. At Santy Shop, the game is expected to be huge and the store is planning open doors at 9am. 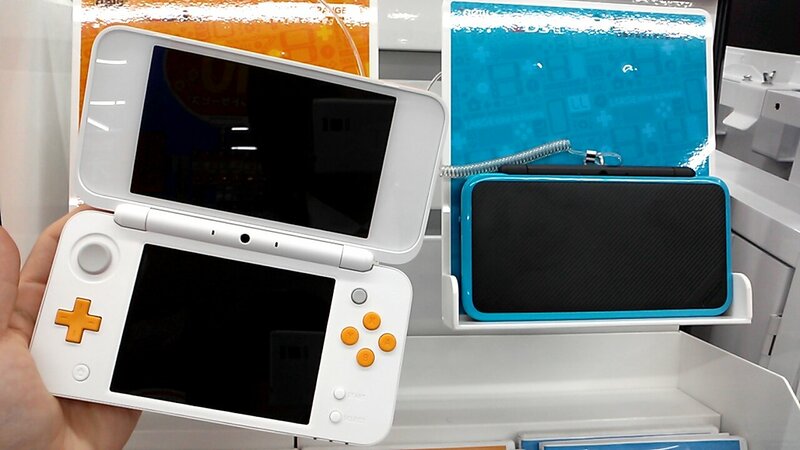 2DS LL is available to preorder and stores are already showing it. ...and Switch. As I commented there will be new shipments tomorrow. 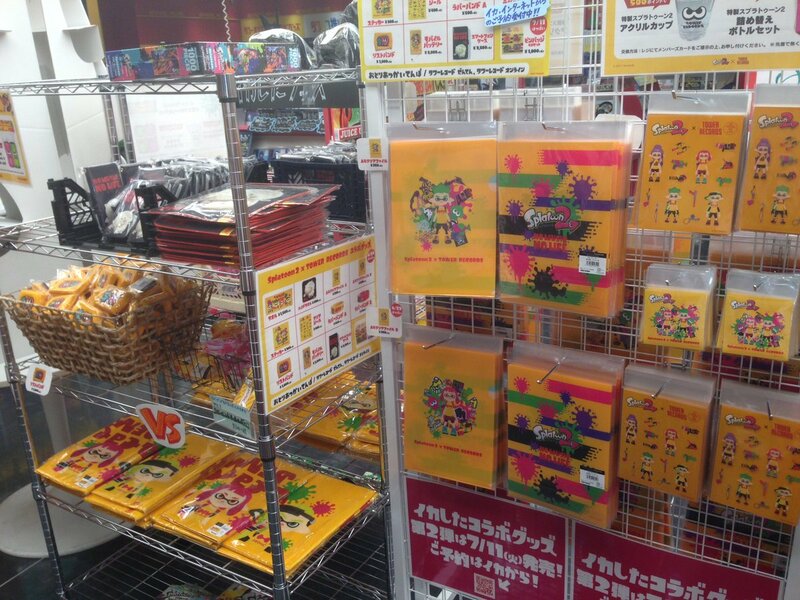 These are some pics about the winner numbers of the lotteries at Bic Camera Shibuya. Generally speaking (and as you can see) the number is very limited. 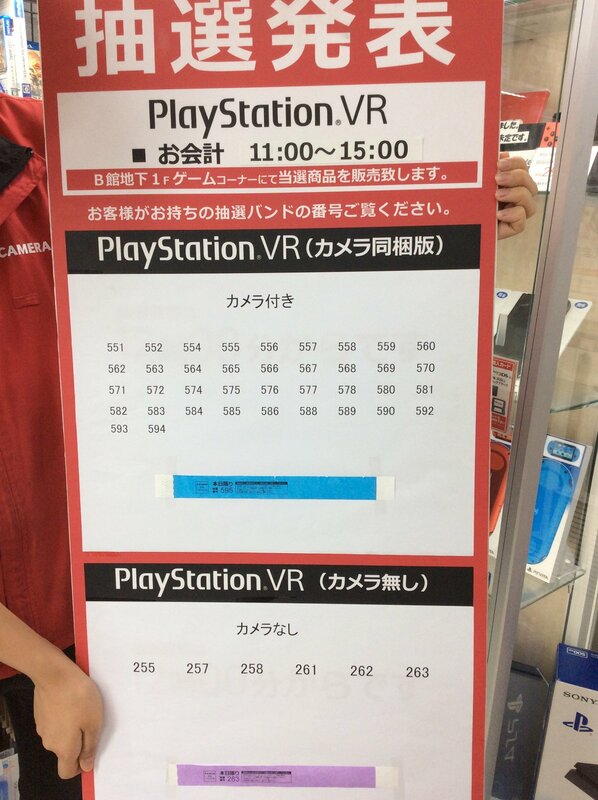 They are even doing this with PSVR. 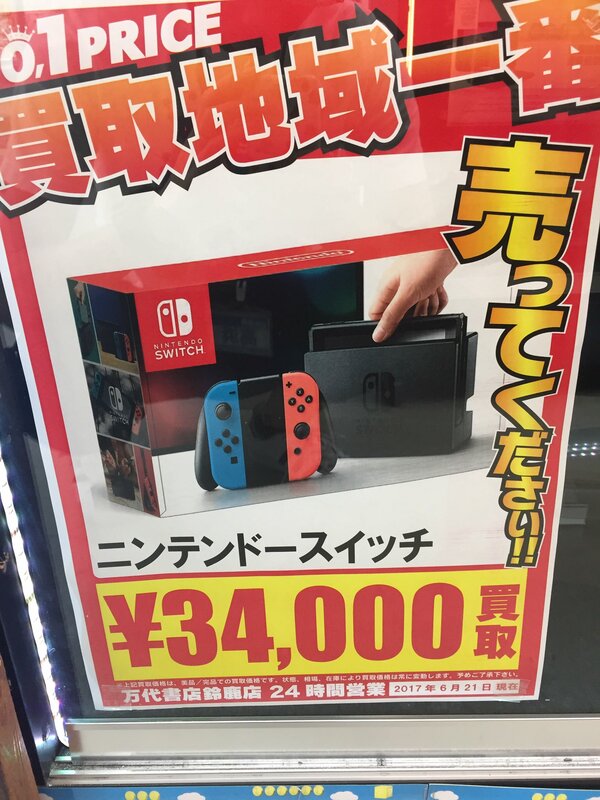 The most interesting thing, though, is that small stores are paying a great amount of money (above official price) for Switch hardware. This time, 34,000yen and is expected to go further. I mean in WoM lol. Caligula had terrible WoM. Martina's weapon almost lines up with the cut-off liquid metal slime bubble in those two pictures when put side-by-side like that. BriBri already posted it . Sony says the Vita is still relevant in Japan but it has only three games in the top 50. That system dropped off a cliff. A very small cliff. 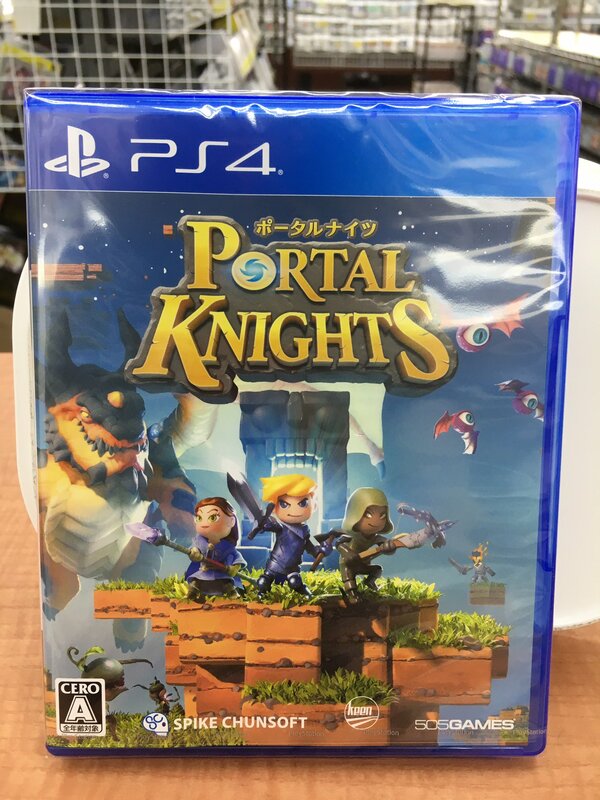 IIRC, didn't Morita said that they have a Vita game for fall that would appeal to children? Metal Slug 3 will never die. A cliff that Sony personally pushed it off. We all knew it was lip service. The Vita was Sony's crutch to get PS4 software but now that the PS4 is moving decent software without the crutch (and they've forced whatever audiences they can to cross the bridge), they took said crutch and threw it off a cliff. Minecraft also more or less saturated out, so their only hardware mover/relevant software has petered out. What do you think Sony could have done to make the Vita sell a lot more in Japan? That Switch software attach rate is pretty big: considering that Splatoon 2 releases in a few weeks, Switch will easily pass PS4 attach rate before week 25 imo. Do you have more numbers for other more successful systems? Would be cool to compare. GBA, PS2 and 3DS are the only real competitors for Switch that have similar behavior since all of them launched at February/March. We are going to get some numbers for the Zelda Season pass? There is not much to discuss regarding the Vita at this point. It's clearly a platform that is in its way out. 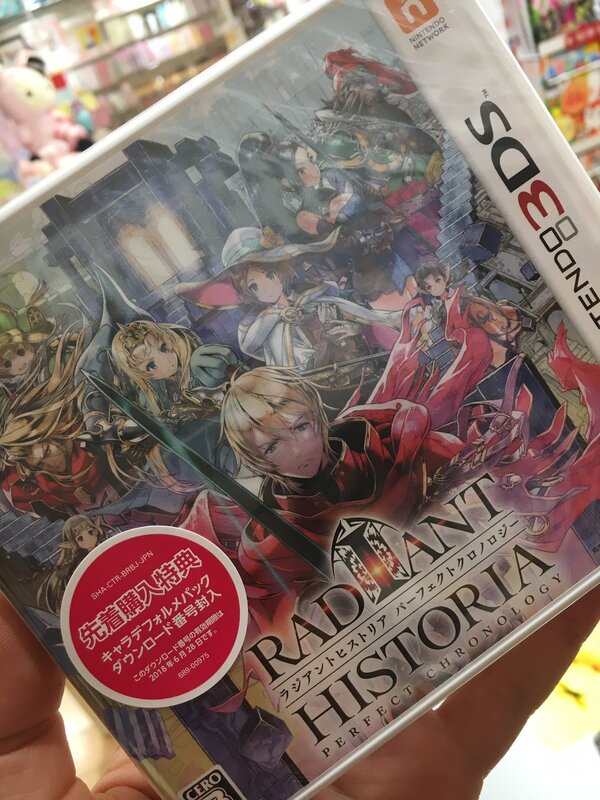 Many companies lately have been skipping the Vita version of their games in the western localization even. Finally, was waiting, and waiting, for that Spring schedule they had for release. Ends up that it releases in Summer. Sony is learning from Level 5 there lol. Some... err.... "footage" of the Inazuma Eleven Ares game. Basically just testing character poses on generic background, no proper gameplay. Hino also confirmed that it will not be releasing on 3DS. Finally, Inazuma Eleven on PS4. I wonder why they're being quiet about what system this game is coming out on? It's not uncommon for mobile games to miss their date by a few months. The Level-5 issue is that they miss their date by a few months six times in a row. It looks like it started development about six months ago, so maybe they haven't decided all their target platforms yet. It's not unusual for japanese companies to announce games without mentioning the platform. It happened with Etrian Odyssey V, Dynasty Warriors 9, Code Vein, Youkai Watch and many more. Didn't we have early screenshots of the game last year, though? However, Hino notes that the game is still in the early stages of development and that there may be some changes to what you see when the game releases. I would honestly not be surprised if this was less than a year along in total given how it looked and what they're currently showing. Those weren't so much screenshots than concept images, to be honest. 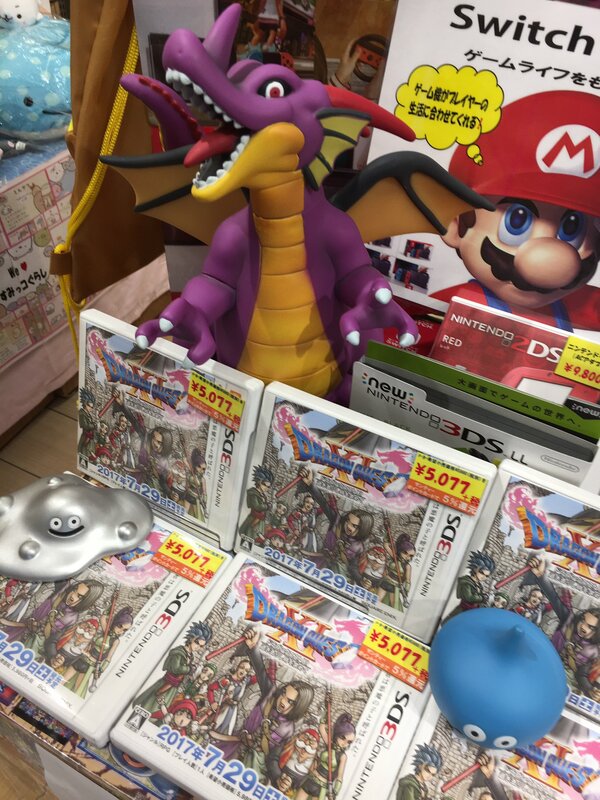 And yeah, it's pretty clear it's no 3DS game. And if they're only showing that now, I guess that's a no for 2017 release (though chances of that were pretty low). Oh, and the mobile game (Everyday! !+) is out today. A Level 5 mobile game actually released. What is this miracle. Actually that game is not made by Level 5. It's made by a company called Gamedo. I think it's just like yokai watch punipuni which is actually made by NHN PlayArt? Thanks for the report horuhe! 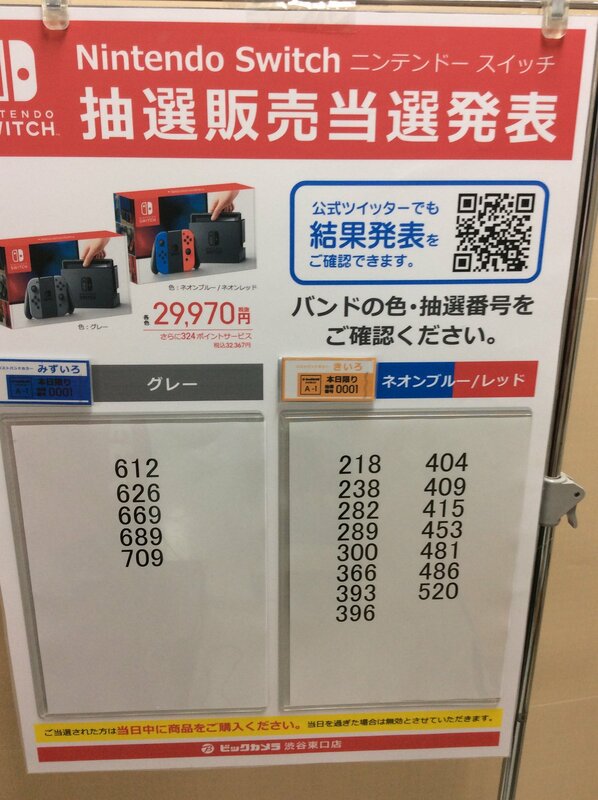 Bic Camera Yurakucho only had 54 Switch consoles this week for the lottery. The last week were 59 consoles and the week before (Arms launch) were 99. As you can see, supply is still going down after Arms. Welp this will never be fixed. Switch stock better be over 200k when Splatoon 2 launches with they having a bundle and all that.